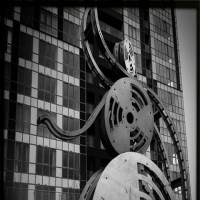 Tracks to Sync, June 2011 (MP3 Mix) is a pretty cool monthly compilation from Free Music Archive. This time around, the mix was inspired and made especially with the FMA online producer in mind. The songs focus on instrumental ambient tracks from new and up-and-coming artists in the indie online music world. There have been several “Tracks to Sync” mixes released on the site as well. Some of the previous ones include two versions of Ten Tracks to Sync, one featuring selections at FMA prior to 2011 and ones that were gathered right at the onset of the year. There’s also a special compilation aimed for YouTubers to choose from and use in their videos. Most singles used in the comp album uses a creative commons license. Listeners are encouraged to take advantage of the tracks, make it their own, share it or use it for their projects while giving credit to the artists. It’s a great way of spreading music around. More than that, the mixes are meant to be enjoyed as a great soundtrack to your workday. Tracks to Sync, June 2011 takes 10 tracks from artists like Slumgum, a jazz/improv/classical quartet that spurt out unusual ensembles enough to make your day a little more interesting. Another artist who’s single doesn’t fail to make a mark is the Voyageurs‘ with ESPCP. This 10 minute space-rock psychedelic song takes you on a real nice trip; lovely as a background mood track. The group is currently a part of White Moon Recordings, a label where you’ll find a host of home-recorded electronic folk mixes to tickle your fancy. Other tracks that I especially enjoyed include Ode to a Baby Snowstorm from Ghost Dust Machine and Russian Ilya Bitekhtin’s project, Ilocanblo , with it’s electronic cut, Tighsfactor. All in all, the album is definitely worth the checkout. If you’re looking for a cool eclectic instrumental background to your work day, give this a download.